Home>Articles>About «Antonio Merloni» Company. Gas tanks manufacturing. Present. Part 2. Italian gas tanks are designed to be operated almost in any climatic area of Russia, even during hard winders. Temperature operating range for vertical “Antonio Merloni Cylinders Ghergo Group S.p.A.” gas tanks is from -40 to +50°С. «Antonio Merloni Cylinders Ghergo Group S.p.A.» Company offers complete service package including designing, manufacturing, delivery, mounting, charging and maintaining of independent gas supply assembly. 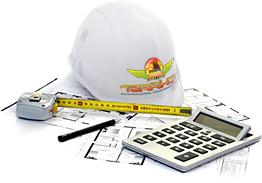 Calculating the cost of the equipment there are custom solutions are applied, in each case taking into account numerous different factors for mounting and gas tanks choosing. The main activity of Italian Corporate Group is delivery and mounting of unique tanks for liquefied petroleum gas storage, which are the best in all their technical and performance standards. All goods are certified, tested and correspond to all engineering standards (European and Russian). Independent gasification is accessible, more reasonable and safe alternative to the main natural gas pipe line, it doesn’t bear any secrets and difficulties. 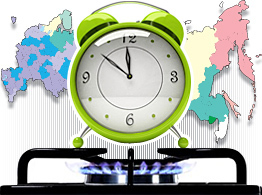 Independent heating systems operated on liquefied gas long time ago proved its profit in the West and now have been submitting markets of Europe and Asia. Today the main gas pipe line in many regions of our country is still a far away perspective; sometimes it’s even “a castle in the air” and an individual gas pipe branch installation can’t be paid pack. The possibility of connecting new objects to country electrical substations is hardly probable; moreover, electric power is not warmth of low-cost. What’s the solution? The problem can be easily solved with «Antonio Merloni Cylinders Ghergo Group S.p.A.» gas tanks. Gas tanks of Italian Corporate Group offer you long-lasting, high quality, environment friendly, economically viable and convenient solution of heating, electrical and gas supply problem. 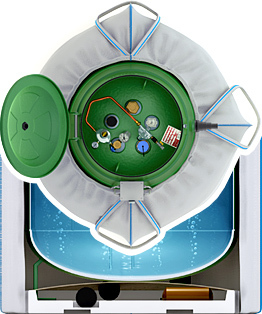 Gas tank is a special cistern for liquefied petroleum gas storage and piping systems to supply it to the customer; a tank is installed in the pit arranged in convenient for the client place on the territory of his lot and filled up, the only visible part is a lid which covers a control system. Charging frequency depends on the volume and intensity of fuel consumption. According to the experience an ultimate charging period is 1-2 times a year. The products of Italian corporate group are appealed to make client’s live comfortable, independent and safe from disadvantages of stove and liquid fuel heating, giving the possibility to use it by one or several customers (creating a neighbor alliance). One of the most significant gas tank characteristic which is interesting for customers is a volume of a tank. There is quit wide range of possible volumes are presented to the clients where the requirements of private and industrial objects are taken into account. The capacity of the tank is choosing individually, considering supposed intensity of gas consumption; if necessary it’s possible to obtain a required volume by cascade connection of gas tanks. Specially for regions «Antonio Merloni Cylinders Ghergo Group S.p.A.» helps to solve a problem of high price and invalidity of gas tanks usage offering cisterns of 1000 and 1650 liters. Big stock of all range of tanks in Moscow warehouse gives the possibility to the clients to get the tank fast after the order confirmation. It will take only one day (no more than 4 hours) to experienced mounting and maintaining professionals, who had special instruction and training courses, to install a single tank system. No welding works on place! All details are welded and pressured in the workshop of the factory. To avoid any gas deliveries delays we recommend you to file an application for independent gasification system charging before the beginning of heating season.